Two months already! Time has seemed to fly while writing Greysons of Grimoire, and I’m really proud of how far the story has come in eight weeks. One month ago, I did a sort of “recap and behind the scenes” blog post, so I’m back again to do that. If you’re interested in some of my thoughts about the story so far, what it’s been like constructing it, my inspirations and writing/planning methodology, and hints of what’s to come in the future, then you’ll be glad to read the rest of this update. First of all, I want to say something very exciting: Greysons of Grimoire is now listed on Web Fiction Guide! WFG is a website that lists and compiles all sorts of web novels across the internet – it’s the best source for anyone looking for something new to read online. I put Greysons of Grimoire into the Submission Queue shortly after I started posting, and I honestly didn’t expect it to get officially listed so quickly. You can check out the listing by following the link here, and this is also a great way to support the web novel and increase its visibility – you can vote up its popularity and ranking in the listings, and if you’re willing, you can even leave a user review and score to help give it more visibility so more people are likely to see it and give it a try. If you do, I’ll be incredibly grateful, but don’t feel obligated – do it if it’s something you want to do and you feel that Greysons of Grimoire deserves the added attention. Now, onto the story and writing itself. Last month when I did this, we’d just finished Chapter 12, and Caleb, Chelsea, and Delilah, along with Lorelei and Isabelle, had gotten their first brief glimpse of Hollow Island. Quite a lot has happened since then! Now, twelve chapters later, a whole new world is unfolding before our heroes: The Enchanted Dominion. It’s not just Hollow Island – we’ve already seen a number of other fascinating Locations like Cartographer’s Waystation, Wood of the Wisps, and Chronoshin. Speaking of Chronoshin, Chapter 18 might be my favorite chapter of the story so far. If I could have kept writing about Chronoshin for twenty chapters, I would have – it’s my favorite Location so far, and I was really excited to bring it to life. Though, while Chapter 18 is my favorite individual chapter so far, I think this previous week’s stretch of three – Chapters 22, 23, and 24 – is my favorite stretch of three to date. I often think of each week as a unit in itself, what with posting three chapters each week, I like to try and have them flow together. This most recent week was a really exciting one, with new reveals, and the plot picking up in a big way, revealing a few of our villains and hinting at the greater conflict to come. Anastasia and Void will both be showing up again, you can count on that, and they won’t be looking to make nice – nor are they the only bad guys hanging around this world. Last month I mentioned the page count and word count of the story so far, so I wanted to do that again – the constant progression is fascinating to me, and maybe you’ll be interested in that, too. Twelve chapters in, we were sitting at 108 pages and 41,445 words. In the month since, we’ve more than doubled that, and now the count is 217 pages and 84,919 words. Bear in mind the page count isn’t exact; if the document was properly formatted, it would likely be somewhere around 300 pages. But that volume is astounding to me – most fiction novels for teens or young adults sit in the 80k to 100k word count, and we’re clearly not all that close to Greysons of Grimoire’s end. We’ll talk more about the possible end to the story a bit farther down. Really, this past stretch of twelve chapters has been so exciting for me. Lots of the crazier ideas I’ve had are now real and readable for you: Hollow Island and the Will Wisps in particular. Those are two ideas I’ve had since very early in the story. In fact, the question of “where do the Hollows come from?” was one that, initially, I thought wouldn’t really be explored until a possible sequel. Then my thoughts about the Hollows, and how Summons exist – turning into the Will Wisps concept – spiraled into a whole gigantic other world called the Enchanted Dominion, and I just couldn’t stay away from it. I’d originally envisioned the story being completely set in Grimoire and focusing on the magical community and the conspiracies and treachery happening among them. And while that still is a focal point of the story – one that we’ll be diving into in the future – I just couldn’t stay away from the crazier ideas of magic and how this world is so much bigger than it initially seemed. I hope you’ve enjoyed the dive into the Enchanted Dominion. We’re going to be there a while longer, and even once Caleb or Fae or the others return to Grimoire, that won’t be the last we see of the Dominion. It has a major part to play, and in just the very next chapter – Chapter 25 – we’re going to learn a lot about the dangers lurking in this magical world. If you don’t mind me talking a bit more about Chronoshin, let’s take a closer look at that place. One of the fun things I got to do there was play with names and languages. Chronoshin derives from “chronos,” obviously, for time, but where’s the “shin” from? Well, “shi” is Japanese for “death.” I looked at a lot of possible words to imply “Time’s Last Breath,” and death felt the most appropriate, if perhaps sounding a bit morbid. The Japanese influence carries over to more elements here: Jikan, the adorable dog that follows Madame Chronos around, is named for the Japanese word for “time.” The Shinka Express, a URS train that only travels to locations in Japan, gets its name from “Shinkansen,” the Japanese name for the Bullet Train. Why all the Japanese? Well, it’s a fascinating and beautiful language to me, for one, and my love of anime and video games (many of my favorites come from Japan) gives me a lot of exposure to the language. I also just love pulling from other languages. If you look throughout the story and in the future, there are lots of names that pull from other languages and, if you can decipher what inspired those names, you can find some deeper meanings to the names of previous and upcoming characters. I’ll keep most of them for you to decipher on your own, though, if you’re interested. Chronoshin was also a fascinating (I use that word a lot, don’t I?) place to come up with visually. My first thought of the Location actually was inspired by The End of Time, a place you visit in the time-traveling video game, Chrono Trigger. It’s a lonely and mysterious place, and that tone was exciting to me… but of course I didn’t want to just copy something done before. 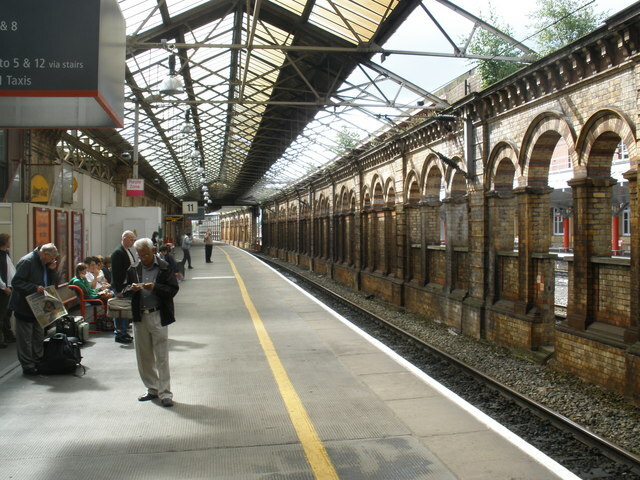 For whatever reason, the next thought that came into my mind was “what if it was a train platform?” So I looked up images of train platforms on Google Images (a great resource for all you writers out there trying to visualize things or look for visual inspirations for fantasy locations), and some of the earliest images had me saying “yes! That’s it!” While the images I’m sharing below aren’t exactly how Chronoshin looks, hopefully you can get more of a sense of where I was coming from with its design – the open spaces, the glass ceiling, and the pillars. And that idea of a train platform came to inform a lot of other ideas, such as the URS (Universal Rail System) that sends trains all across the universe. I love when simple thoughts spiral into big ideas, and I’m glad I have so many influences to pull from. 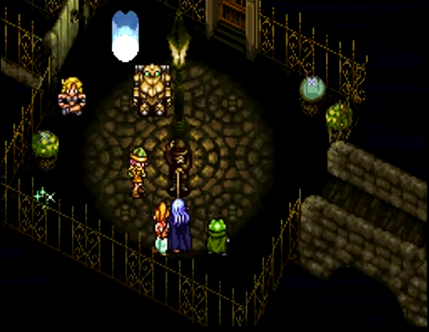 Perhaps I should do a piece dedicated to my many inspirations in the future, but aside from Chrono Trigger, quite a number of video games have served as fantastic creative fuel for my imagination to grow. Books, movies, anime, video games, and real life have all helped take me to where I am today, the directions my imagination goes in, and the types of stories and worlds I like to create. If you’re a writer or inspiring writer, don’t just stick to books to look for inspiration, but seek out stories in all sorts of mediums to help inspire you and develop your imagination, and get out into the real world and see the beauty and wonder in everyday life. 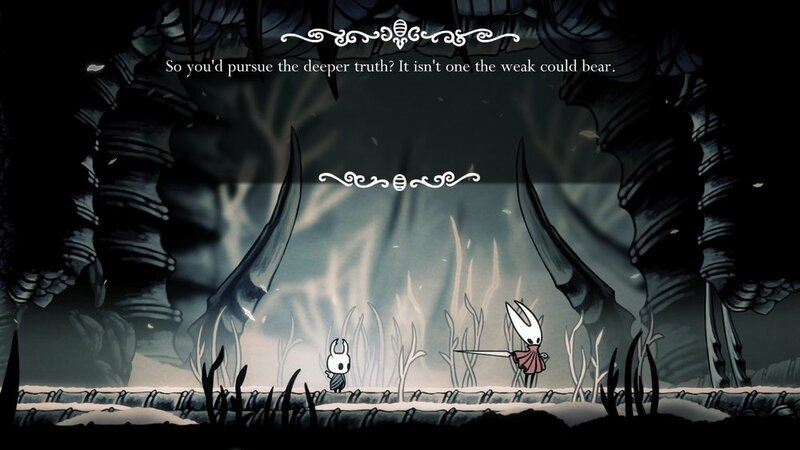 One major inspiration for me with the Enchanted Dominion and providing weird place names for the Locations has been the game Hollow Knight: places within it have these names that pull at your imagination and make you wonder what they mean in the story’s context, like the Forgotten Crossroads, the Howling Cliffs, or the Deepnest. And the game itself has just such an enchanting and magical atmosphere that really tugs at your imagination every second you’re exploring its huge world. If I stayed on the subject of things that have inspired me, I could go on for forever (so I’ll save all of that for a piece dedicated to that subject). But on the subject of ideas, I wanted to share a valuable storytelling tip that I’ve picked up only recently: write down every single idea you have, whether it’s for a scene, a character, a place name, world-building, whatever. Having a smart phone is fantastic for this – you almost definitely have some kind of notepad app, so just open that up and type some stuff down whenever you have ideas. Several scenes, locations, and story beats in Greysons of Grimoire have only happened because I made sure to get my ideas down in writing, often while out grocery shopping or working out at the gym, when I don’t have my computer on hand to go into more detail. Or shower thoughts! Shower thoughts seem to happen more and more to me, and you can’t write stuff down while in the shower. So I just keep those ideas fresh in my mind, sometimes repeating them over and over, until I get out of the shower and have a chance to write them down. Just getting a few notes down when inspiration strikes means that you don’t have to struggle for ideas when you’re sitting down to write – you already have dozens down in your phone, on scrap paper, or wherever else! I’m not at all short on ideas these days, and it’s largely due to my commitment to getting everything down in writing as soon as it hits me, even if I’m not ready to use it right away. I think of it as capitalizing on inspiration. It’s a fickle thing, and doesn’t ever seem to strike you on command, so I’ve lately been doing my best to make the most of each burst of inspiration, each whisper from the muse, even if I’m unable to fully write about it at the time. I’m still writing Greysons of Grimoire by the seat of my pants, like I said in the last blog update. But the really surprising thing for me is that, as I’ve been getting deeper into the story, writing it chapter by chapter without doing much forward planning, the future of the story has become more and more clear to me. The more I explore these characters, the more I dig into the different worlds and elements involved, the more I understand exactly where I want the story to go, as well as where the story should go. It’s quite exciting for me as a writer, and further cements my own weird way of writing where I’m just not a fan of outlines. I’m the kind of writer who needs to just get “hands-on” with the story, dig into it one word at a time, and see where it goes. I’ll never say that’s the only way to craft a story, far from it! But it’s the way that works best for me so far, and if you find yourself struggling with outlines and pre-planning, maybe just try writing the story and seeing where it goes. So let’s talk a bit about where the story is going, in terms of length and a stopping point. I still do not know how long the completed story will be, but I do know where our first “climax” and pausing point is. I’ll be taking a short (one, maybe two weeks) break around Christmas and New Year’s, so right before then, we’ll hit Greysons of Grimoire’s first major climax, concluding what I’ll call the first “arc” of the story as a whole. If you are a fan of long-running anime or manga like Dragon Ball Z or Naruto, then you are likely familiar with arcs in the way I’m talking about them. They’re major story sections that have a clear beginning, middle, and end, even as they’re part of a much longer overarching storyline. If Greysons of Grimoire were a traditional novel in print, rather than a regularly updating web novel, these arcs would likely be released as individual books in a series. Right now we’re in Greysons of Grimoire’s first arc, and that arc will conclude on December 22nd with Chapter 42. Then we’ll take a short break for the holidays, and I’ll be back to kick off the second major arc of the story. That also means that we’re, right now, only slightly more than halfway through the first arc of the complete story. And with more arcs to come, that means we’re, at the very most, a quarter of the way through the entire story. Some of you may be excited for how long the story is now revealed to be – some others may be groaning at how long it will take to see the end. I hope if you’re in the latter camp that you’ll still stick around and enjoy the ride. I’ll do everything I can to keep things interesting at every single turn, and one thing I can promise you: I won’t overstay my welcome. I’ve seen too many stories carry on far past the point where they ran out of steam and should have ended, and I won’t do that. I like for stories to end, even my favorites. I don’t want Greysons of Grimoire to keep going for forever – I have too many other stories to tell, for one! I’ve also seen too many authors that can’t seem to leave their worlds and completed stories behind, and it makes me rather sad. Find the best ending, commit to it, and then move on to something brand new. That’s what I think all writers and storytellers should strive to do. I firmly believe that being able to let your stories, characters, and worlds go, and knowing the right time to do that (when you’ve reached the best ending you can hope for), is the best way for a writer to thrive. A finished story that isn’t threatened by the possibility of endless sequels is also much easier to recommend to a prospective reader than something that doesn’t know when to end. So that’s my promise to you – Greysons of Grimoire will end in the best way possible, and then you can look forward to whatever comes next from me. I hope you’ll enjoy the ride just as much as I am until then. But for now, we’re only two months in, and far from that moment of finality. The Greyson siblings, their parents, and friends – Lorelei, Isabelle, Gwen, Mercury, Neptune, Jupiter, Rae, Kathryn, Ben, and so many more to come in time – have much more to do, and a long way to go. Things are going to get much more dangerous in the future! Villains are showing themselves, and soon the evil plots and schemes happening behind the scenes will come into the spotlight. I’m very proud of what’s happened so far, and unbelievably excited for what comes next. I hope you are, too. As always, thank you so much for reading! It means the world to me that people enjoy the stories I’m writing.